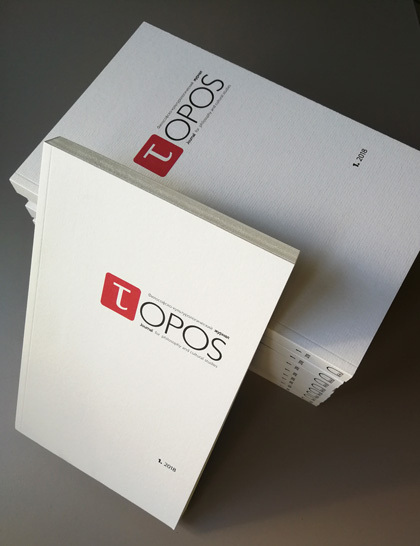 ‘P.S.Soundscapes’ is the new issue of ‘Topos’ journal for Philosophy & Cultural Studies published by European Humanities University (Vilnius). Marcin Barski, ​Ina Hladyshava, ​Andrei Gornykh​, ​Dmitry Koshlakov, ​Aleksandr Sarna, ​Anatoly Stepanishchev​, ​Andrey Vozyanov, Maria Yashchanka, Vita Zelenska, ​an interview with curators ​ Michał Libera ​and Daniel Muzyczuk ​as well as two essays by ​Hans Ulrich Gumbrecht ​ translated into Belarusian by ​Aliaksandra Lohvinava ​and introduced by ​Tatiana Shchyttsova ​, the journal Editor-in-Chief. PDF version can be accessed at the​ journal website — P.S. 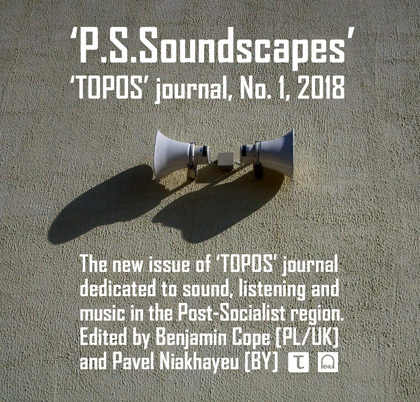 Soundscapes — Topos, No.1, 2018. The printed version is available at EHU Library and, hopefully, will be sold in the select bookstores in Minsk, Belarus. Гэты запіс апублікаваны Нядзеля, Верасень 30, 2018 в 12:15 pm	. Катэгорыі: news, snd, research. Вы можаце сачыць за каментарамі пры дапамозе RSS 2.0 стужкі. Каментары і пінгі забаронены.